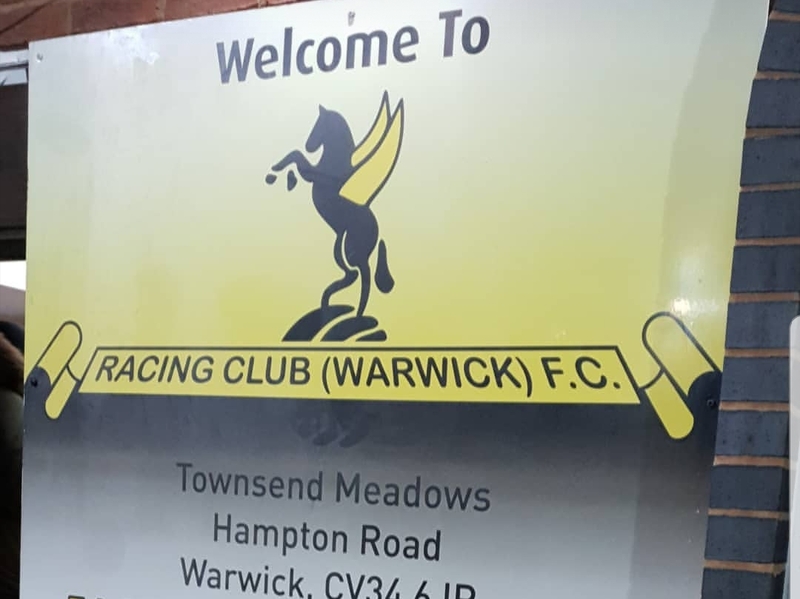 Hinckley AFC suffered a second straight defeat as title chasing Racing Club Warwick continued their surge towards the top with a 5-1 win at Townsend Meadow. Trea Bertie and George Curry both scored in each half for the home side, the latter with two fine free kicks, while Lewis Hayden added a fifth late on in a comfortable home win. David Jones briefly threatened a comeback for Hinckley when he brought it back to 2-1, but in truth it was game over for AFC after Jean Dakouri was sent off and Warwick strode on to a comfortable win. 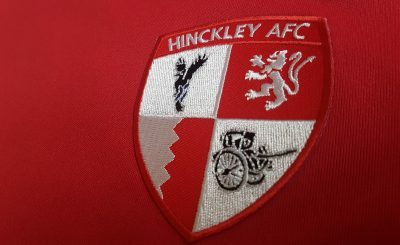 Hinckley boss John Ramshaw was forced into two changes from the side beaten by Chelmsley at the weekend, with key experienced duo Jason Lee and Sam Belcher both injured. 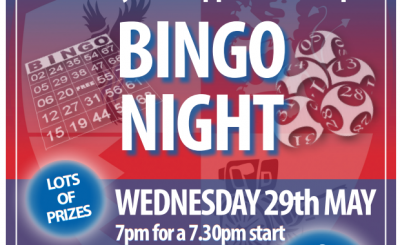 It meant Hinckley were down to the bare bones, Anton Daniels and Jones coming in and the substitutes’ bench made up of five of the club’s Under 18s side. Another, Chad Timson, continued in the starting eleven at right back. On a bitterly cold night, the game was slow to warm up and while Warwick had the better of the possession early on, it took until the 14th minute for them to really threaten. When they did so, they broke the deadlock. Yinka Adebowale denied Ben Mackey’s fierce low drive with a fine save, but Bertie was quickest to react and fired home the opening goal. As Warwick found their groove, the clinical hosts netted their second just after the half’s midway point. 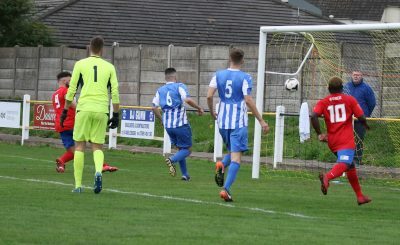 It was Curry’s first of two fine set pieces during the game, as he bent one into the top corner from 25 yards to give Hinckley a mountain to climb. Adebowale denied a powerful Chris Johnston effort shortly afterwards as Hinckley struggled to gain a foothold, and too often they relinquished possession too easily. But they found their rhythm towards the end of the half, and gave themselves a lifeline four minutes before the break. It was a fine goal from Jones, who lofted over his marker Curry in a neat turn before bending one home from 20 yards. After that, Grant Ryan had a header saved and Louis Hamilton put a free kick into the wall as Hinckley finished the half on top. They started the second brightly too, aside from a scare when Curry’s wide free kick was flicked goalbound by Mackey – and Hinckley hacked off the line after Adebowale’s initial save. Hamilton fired over from the edge of the box and Daniels blazed a free kick harmlessly over as Hinckley sought a route back to level terms. But their task was made considerably more difficult when Dakouri was beaten to the ball by Hayden, and tripped the midfielder as he advanced into the box. Dakouri was shown a second booking and Hinckley were down to ten men. That killed the game as a spectacle, and Warwick were comfortable after that where Hinckley had threatened before. 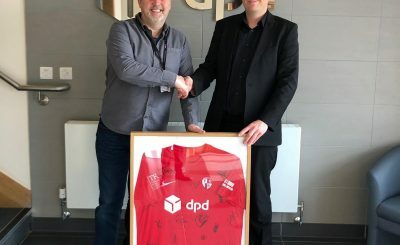 Warwick compounded Hinckley’s misery from the resulting free kick – Curry with an even cleaner strike that his first as he found a postage stamp in the top corner from the corner of the box. Sean Castleton should have added a fourth, but headed over at the far post from a corner, before they did add another midway through the half. Hayden’s mazy run ended with him losing his footing, but he somehow managed to divert the ball into Bertie’s path and he slid home his second of the night. 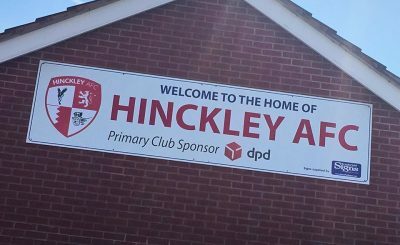 Hinckley continued to battle, but rarely threatened despite Jones heading wide from Hamilton’s free kick and Chris Hollist firing over after a driving run late on. They only called home ‘keeper Charlie Bannister into action when Ryan powerfully ran through on goal, but the ‘keeper stood up strong to deny him. 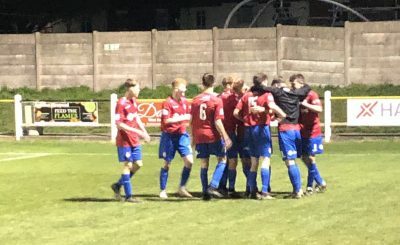 But the Racers resumed their control, and after substitute Adam Knight dragged wide, Hayden added a fifth as Hinckley failed to put an end to his weaving run, as he threaded one inside the far post to wrap up a comfortable home win.